The magazine I work for is having a grand re-launch following a take-over and a make-over. The result being, my workload has increased, which isn’t a problem as with winter approaching I wont be subjected to the desire to go to the coast. Okay, I lie a little. Yes, there will be days when all I want to do is sit looking out over a throbbing grey sea rather than be tapping at my laptop, but these days will be few and far between though. so, (hopefully) I will be able to use my time productively. My editor has asked me for my next three-month work schedule, this entails pitching all the new stories well in advance, discovering the ones the magazine wants me to write and setting my copy delivery dates in stone. I have finally organised a schedule and hopefully if I can follow this, I will know what type of feature I need to submit at any given time each month. The new regime means I can work out how much time I need to devote to each article each week, and maybe even build up a bank of non-specific date related features to help me out when procrastination creeps up on me. My OCD managed to have a hand in the planning, and categories soon became colour coded. Non-Fiction writing is a fine balance between research and writing, too much research and you can become so bogged down that you delay the actual act of writing as you sift through all the facts that you have collected. Too little and your work will be flimsy and have no guts. So when do you know when you have enough research? – that’s a tricky one. For me it is when I have all the things I want to say at my disposal and looking for any more will over-complicate the story. For example, a piece I’ve just completed about visiting the catacombs in Rome features the important things readers need to know; where, when, how and who and yes a little history to colour the required word count. Interviews can be tricky things, you have to initially ask some standard questions, then from these you can build up an idea of how you want the interview to go and ask questions that are specific to your idea and the client. Some people can be hard-work and you can be emailing backwards and forwards reams of questions before you get anything worthy of writing up. Some people however can be a joy, I have just interviewed a young man in Piemonte and it turned out he was a snowboarder and also enjoyed big Italian family gatherings around Christmas. Perfect for the December issue. The Only difficult thing about interviews is the restructuring of some sentences to fit them into the body of your piece without losing the meaning and truth of your interviewee. I feel like crap. It’s 03.45 and I should be asleep. I’ve had a couple of nights of sleeplessness lately. It has nothing to do with weather or alcohol or even too much sleep the previous day, it’s just happened of its own accord. Usually I’ve lain awake looking at the blue light on the light switch; designed to show a somnolent sleepwalker where the switch is and eventually dropped off. Tonight however is different, I’m dog-tired. Normally I’d apologise for the cliché, but I’m too tired to care. I’m desperate to sleep but it evades me. I get up and wander about in the kitchen, I open and close the fridge looking for something: What that something is I don’t know. I stand outside and look up at the stars, the sky is different here than back in the UK, there are sparkles in the darkness that I cannot name. It’s not like when I was in New Zealand, and every star in the hemisphere was new to me, occasionally I’ll see something I recognise, but tonight I see nothing. The sounds of the night are all around me, the clacking of bugs in the grass is getting more constant as the summer progresses, back in April there was hardly a click in the dark, but with the warmth comes the volume. A late firefly flashes and I despair for him, the season has passed so his chance of finding a mate now has seriously diminished. There’s the almost silent sound of a bat as it circles Domenico’s ruin and something scurries across my bare foot. In the light cast from the kitchen door I see a scorpion on my foot, my first reaction is to shake my foot, but I’m too tired, so watch it as it crawls off me. “It’s just you and me,” i say as it waggles its pincers in the air and scuttles away for the safety of the dark spaces. I return to the kitchen and spend a few minutes checking emails and deleting spam, there’s no new notifications on Facebook; why would there be, with the exception of a few people in Australia, all my FB friends will be tucked up in bed. Nocturnal envy is not a good thing. I try to read, but my eyes hurt and my brain cannot process the words, so there’s nothing for it but to write this blog entry. Obviously heavily edited once my faculties kick in again. Will writing help me to sleep? Not a chance, as the words spill from my fingers I start to think about a feature I need to complete, an idea for my novel pops up and some new article ideas bounce around between my ears. This writing during my insomniac moment is not a good idea, as now my brain is whirring; clicking like the bugs in the long grass, all I need is an old fashioned typewriter bell to ping every sixteen or so words. I put the laptop away and crawl back into bed where the OH makes those noises of contented slumber, Should I aim a dig to the ribs in one of those selfish, ‘if I’m awake you should be’ moments? I decide not to and lie looking at the blue light again, waiting. The only plus to this tale of an Englishman in Italy who was unable to sleep, is the welcoming clouds the following day. Today it seems everywhere I have been there has been a pregnant woman. Yes, pregnant ladies everywhere today. I nipped to the builders merchant this morning and there was the man with a dirty pick-up collecting some bags of plaster. I’ve seen him almost every time I’ve been and his truck is dirtier each time. However today, standing in the yard and leaning against his mud splashed vehicle is a woman, heavily pregnant and smoking a cigarette. Inside the cab is an equally dirty child, its face smeared with what I’m hoping is just the remnants of a chocolate croissant. The man comes back, barks something at the woman. She then flicks the red ember from the end of her cigarette: an act we called ‘nipping’ when I was a teenage smoker. She pops the half smoked fag-end behind her ear and climbs into the pick-up. On the way back I decided to drop into the supermarket for some mackerel for lunch. As I drive the iPod shuffles and Toyah, sings I Explode, my thoughts bounce back to the heavily pregnant smoker, and I picture her gorged belly exploding and hundreds of tiny smoking babies pouring out onto the ground. Maybe there’s the germ of a story in that thought. I’m in the supermarket and browsing when I turn a corner into another aisle and there’s a young couple, possibly mid-twenties. He’s holding her hand and with his other hand is stroking her belly, she too is heavily pregnant. This outward show of affection is nice but it’s odd as it’s the girl who is carrying the basket containing their shopping. A woman spots them and she walks over asking when the baby is due. Suddenly she’s stroking the girls belly too. Why is it that when people see a pregnant woman, they feel the need to stroke the bump. I’m not sure how I’d feel if every person I passed in the store wanted to pat my paunch. As I leave the supermarket another woman walks over to the pregnant girl and more bump brushing takes place. Later in the day I’m waiting for the ATM in Altino to become vacant, there’s a woman standing using it and after withdrawing money from it, lo and behold; sorry for the cliché, she turns around and is also pregnant. As my seedlings took a pelting in the previous days of stormy weather I decide to check out what’s available at the local shop. I’m wondering if I ought to buy some tomato plants now, or wait to see if mine perk up when another pregnant woman approaches me. This one has a baby in the crook of her arm, balanced on her hip, it looks to be around two-years old, she’s pushing a pram containing another younger baby and in her belly she is carrying the unborn addition to the family. The poor woman looks tired; ever likely. Her husband leaves the local store and calls to her, he’s short and round with enough wiry hair bulging out of the top of his shirt to stuff a mattress. He’s balding prematurely, a sure sign of powerful fertility and as I decline the chance to purchase some more tomato plants and wander away thinking about the tired looking woman, I wonder if her husband could be responsible for the recent Chieti baby boom. As I don’t have a photo of a pregnant woman, and because it would have been creepy to have taken any of those I saw today, I’ll leave you with a snap of our town. Casoli, CH. As a writer myself, one piece of advice I always give fledgling writers is, read. Read what you have written carefully, read it aloud, put it away for a day or so and read it again. You need to be sure before you submit anything that you have ironed out an imperfections, corrected grammar and given the spelling a good going over. If only in my day to day life I followed my own advice. We’re surrounded by signs, and being in a foreign country you’d think I’d take extra care while reading them. Not a chance. Now bear with me while I explain the title for today’s entry. There are many foods that can be purchased in a can and cooked within it. Sponges pudding and those dreadful pies in a tin. Today because I didn’t pay attention I came close to discovering just how that steak and onion pie feels inside its tin prison. A few days back I commented on how the locals are regular visitors to the car wash nearby. 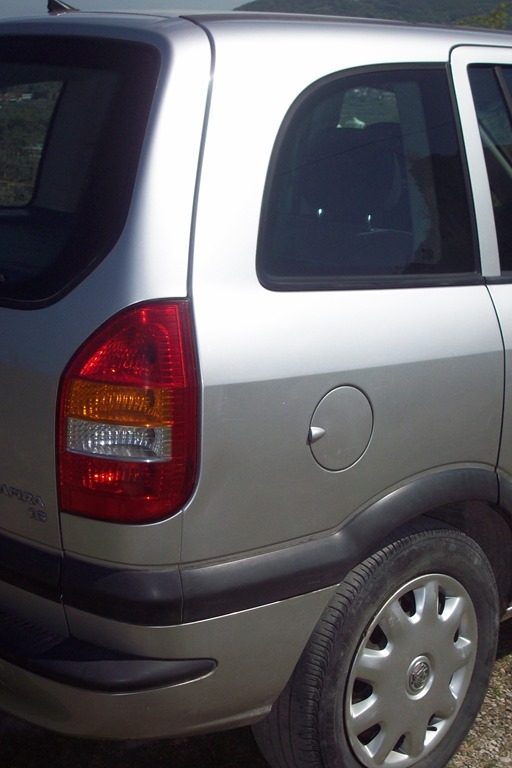 So today I thought it’s about time I washed the sand off my car, so It can shine in the sun as I’m pootling down to the supermarket or builders’ merchant. So I’m driving back from Eurospin, the iPod is playing Shangri-La by Nightmares in Wax (Pete Burns, pre-Dead or Alive guise) a song that I always feel has 41 seconds of unnecessary shenanigans at the end, when I pass the car wash. I pull in and glance at the bays, one is taken by a young man who’s power washing his car, another is free and so is a conventional drive in one, designed for the lazier driver. As it’s sunny I opt for the conventional drive in one, thinking I can’t be bothered wielding a shampoo brush and pressure washer in this heat. I glance at the board telling what’s on offer, but I don’t read what’s written I just look at the range of prices. “Ahh,” I say to myself, “Two euro, must be quick wash.” I drive in, the red lights asks me to stop, I insert a coin and press the button, then wait. The machine rumbled into life and began moving towards me and I waited for the water, only it didn’t come. The lad across the way looked up and shook his head and then went back to his pressure washing. The machine moved over the car with me inside but instead of washing it was blowing hot air, I’d only set it to dry mode. So I sat inside my car on a hot day with an industrial sized hair-dryer above me increasing the temperature inside making me feel like a pie in a tin inside an oven. Next time I’ll take my own advice and read everything carefully. Needless to say after the young man had left and the dryer had completed it’s actions I drove into a bay and did what I should have done in the first place, grabbed the shampoo brush and did the job by hand. There’s a saying that goes something like, never judge a book by its cover. Now, before anyone thinks, is this another blog posting about writing, let me say right now that it’s actually got bog all about writing. Well that is if we pass over the fact that I used a cliché in the opening paragraph and that age old question, are clichés bad? Well, come to think about it, yes they are, very bad indeed – now for those interested in the mechanics of writing, go discuss, for those interested in mindless waffle from a Potteries bloke living in Italy, continue on. The reason I say you should never judge is because you can fall foul of finding out just what an arse you are and in my case it’s all down to a saucepan. 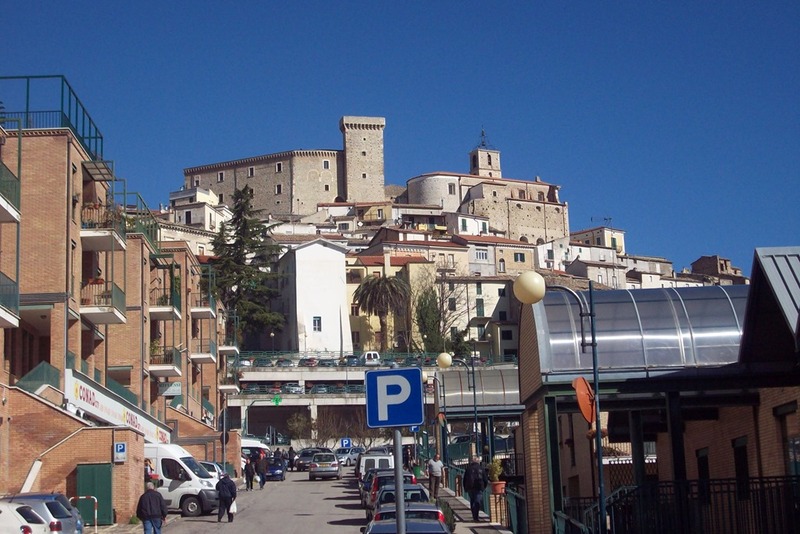 I’ve been coming to Italy since 1988, my first visit was on September 8, now is it OCD or autism, that the date is cemented into my memory, a friend once told me that because I have the ability to retain numbers easily, I could be on the autistic spectrum. You see I remember things like phone numbers, car registrations and UK postcodes: Don’t get me started, you give me a postcode anywhere in the United Kingdom, and I’ll tell you to where in the country it belongs. But I digress, so let’s back to the saucepan. In all the hardware shops, market stalls and department stores, they sell what I’ve always referred to as cheap pans; I use the phrase cheap not because they are comparatively inexpensive but as a derogatory term. They always seemed to be a cheaply fashioned piece of aluminium, that I imagined wouldn’t be very serviceable and easily damaged. Oh, how wrong was I, I purchased one two weeks ago for the princely sum of €3,50 and haven’t stopped using it yet. It conducts heat so much better than my thick bottomed expensive ones purchased in the UK, it cleans easier and don’t ask me how, but the handles don’t get hot. Now I realise that all those years of sneering at saucepans was wasted. No wonder the Italian’s use them, they’re brilliant. I can boil a pan of pasta in half the time and it cuts down on risotto time enough to enable the cook to squeeze in another glass of wine with the guests. 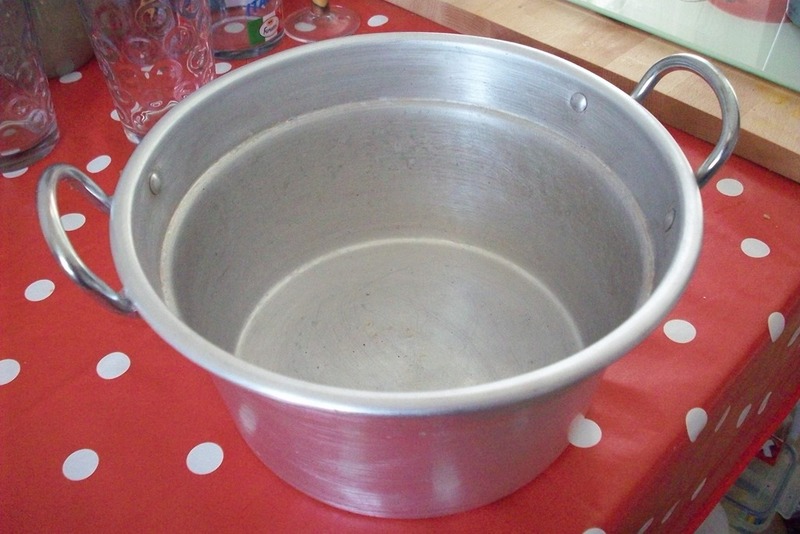 So what has this saucepan got to do with my OCD? Well not much, in fact in the scheme of things this will be possibly the most tenuous link you’ll ever see. The other day I put the saucepan in the washing up bowl and went outside onto the patio: how pretentious am I; patio – it’s a flat bit of concreted land out front. Anyway out front was a line of washing drying in the early evening sunshine. I looked at it and instantly knew that something was wrong with it. Look at the picture below and can you see what’s wrong? Obviously, the towels shouldn’t be mixed with the T shirt, but it’s the flagrant misuse of pegs. Two to each item equals an uneconomical usage of pegs. Also this leads to spaces between the clothing making optimum wind for drying is wasted. Now if you share the pegs between items the gaps are reduced making the washing flap in the breeze more effectively leading to a shorter drying time. Also if you group the slower drying things together, then you spend less time repositioning items as you remove the dry ones from their section of the washing line. …maybe it’s time to lie down in a darkened room. Tuesday 15 January 2013 – Regular readers of my blog know that when I’m working, I have music playing in the background. It doesn’t often distract me and serves to stop me feeling the seclusion, writer’s must feel. Yes, being a writer is a solitary profession, but that jangle of noise behind me somehow helps to keep me focussed. The other day I was sat at my laptop punching the keys, creating new experiences for my imaginary character when a song shuffled forward and took over my concentration. Oddly enough it’s a song that doesn’t play on my iPod often, but it grabbed my attention enough to have me leave my seat and stand listening, head bobbing as it played. 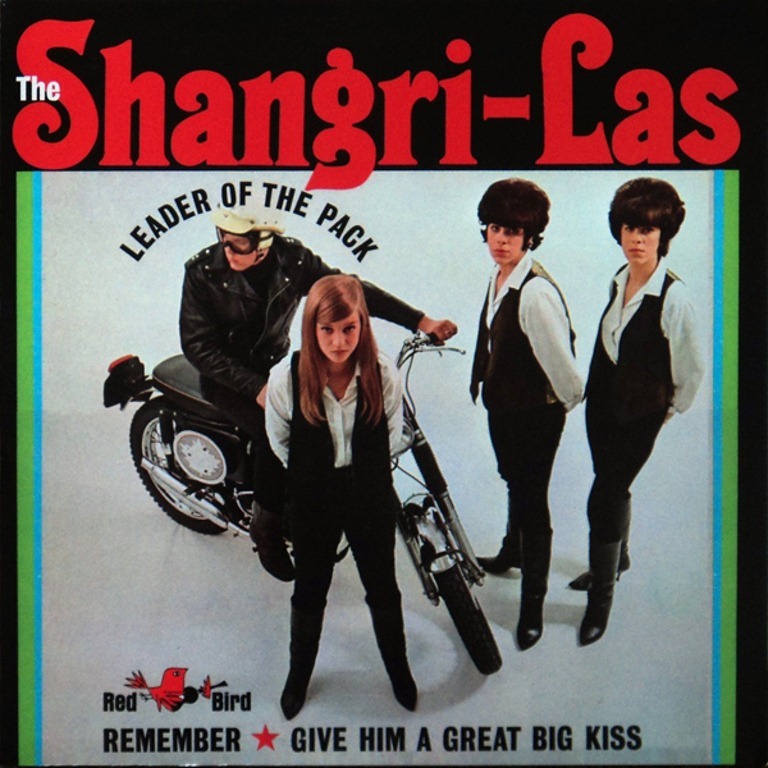 The song in question was, Leader of the Pack by The Shangri-Las. Ask anyone to name a song by this famous girl group and you can guarantee it’ll be the teenage, tragedy, Leader of the Pack. The group was actually made up of four girls, but they always appeared on stage and on television as a trio. The Shangri-Las consisted of two sets of sisters, Mary Weiss, who was the lead vocalist, Betty Weiss and twins, Marge and Mary Ganser. There have been a plethora of cover versions of the song, people from Bette Midler to rockers Twisted Sister, even camp comic Julian Clary has had a bash at the song. What greater compliment can a song-writer/singer have, than other artists wanting to perform and record your work, I wonder how many One Direction or Cheryl Cole songs will receive such accolades? But back to me. As the sound of the motorbikes wheels shriek on the rain-slickened road, I press repeat and sit down and savour this classic once again before returning to my writing.